Gene Smith | Far Post Soccer Club, Inc.
Smith joins Far Post with a plethora of coaching experience across NCAA Division I, Division II and Division III levels and has developed players who have garnered multiple All-Americans, All-Region, All-Conference, Players of the Year, Freshman Team selections, and Defensive Players of the Year. Smith spent the previous 2 seasons at Marist College (NCAA DI) as an assistant and head coach. As the head coach for the 2017 season, the Red Foxes posted records of 8-8-3 overall and 5-3-2 in the Metro Atlantic Athletic Conference. Smith presided over a historic win when his team snapped the nation's current longest unbeaten streak, downing Monmouth, 2-1. Smith placed numerous players on MAAC All-Conference and All-Academic teams. 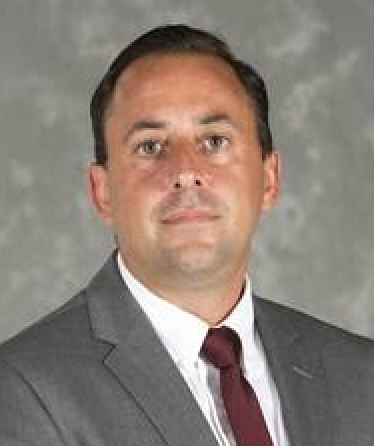 Before Marist Smith served as the head women's soccer coach at Davis and Elkins College in West Virginia for the 2014 and 2015 seasons. Smith was named Great Midwest Athletic Conference (GMAC) Coach of the Year after winning the 2015 regular season championship and earning a NCAA Midwest Regional Ranking. His recruits also ​garnered the GMAC Offensive Player of the Year, The ​D2 Hero Sports Newcomer of the Year​, GM​AC Freshman of the Year, CCA All-Midwest First Team. During his time D&E led all NCAA divisions in points per game and individual goals. Prior to his time with Davis and Elkins, Smith spent four years as a Head Coach and Associate Head Coach at DII nationally ranked powerhouse California University of Pennsylvania. The Vulcans reached the NCAA Tournament in each of Smith's four seasons, where ranked in the top 5 of every NCAA poll, claimed the PSAC regular season championship on three occasions, and won the league tournament twice. The 2011 squad set a school record with 20 wins and advanced to the NCAA quarterfinals. A native of Connecticut, Smith serves on the Region 1 staff and he has coached for many years at the club and ODP levels. At his last club Beadling (PAW), he developed a girls team that captured 4 straight state titles and a Region 1 Championship in 2014. Smith also enjoyed success in semi-professional and professional settings with various teams in the United Soccer League (USL) and abroad.